At least, I'm fairly certain this is a male of one of the family of Ichneumon Wasps. 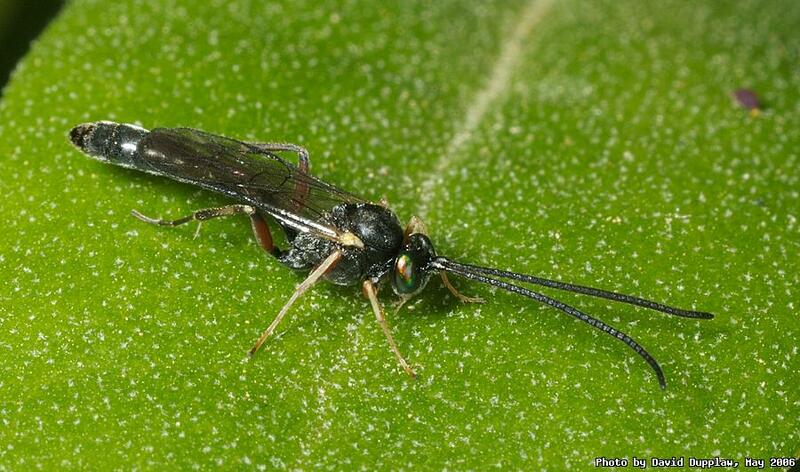 It's quite a small wasp, and this is almost certainly a male, as the females tend to have long ovipositors, as they lay there eggs as parasites on other species of larvae or even in other species' eggs. There is a small springtail in the background of this photo too.